I just want to share this image with you. I created some product mockups for a few home decor products using my Field of Flowers Textile Design that I entered into the Spoonflower Fabric 8 textile design competition for Moda fabrics. I hope you like the way my fabric design will look when it is made into some gorgeous soft furnishings, cushions and quilts. I want to share with you my designs for the Spoonflower Fabric8 Textile Design Competition for Moda Fabrics. The theme for this years Fabric8 International Textile Design Competition was 'Botanical Sketchbook' . I love flowers and they are part of my design style and signature look. I have never entered a Spoonflower Design Competition but this theme was really inspiring so I decided to give it a try. I designed several designs based on various flowers...from Crocus Bulbs, Daffodils, Peonies, Buttercups and Stewartia's. For weeks I hand drew illustrations and stylized sketches of these flowers in order to use for my designs. Then I had to make a huge decision of which design to submit as you were only allowed one design. Such a hard decision as I loved them all.....Here are my four favourite designs. Not only did I have to choose one design but I also had to decide on which colour palette to submit. Should I go with the safer, pretty and soft colours of the light background or would I bold, retro colourway of the dark background? I chose to go for the bold, really 70's Retro look with the hand drawn stylised drawings of Peonies, Buttercups and the not so known Stewartia flower. There were over 800 entries from designers all around the world and I am so pleased to announce that my design was selected as a semi-finalist and made it to the Top 100 Designs! 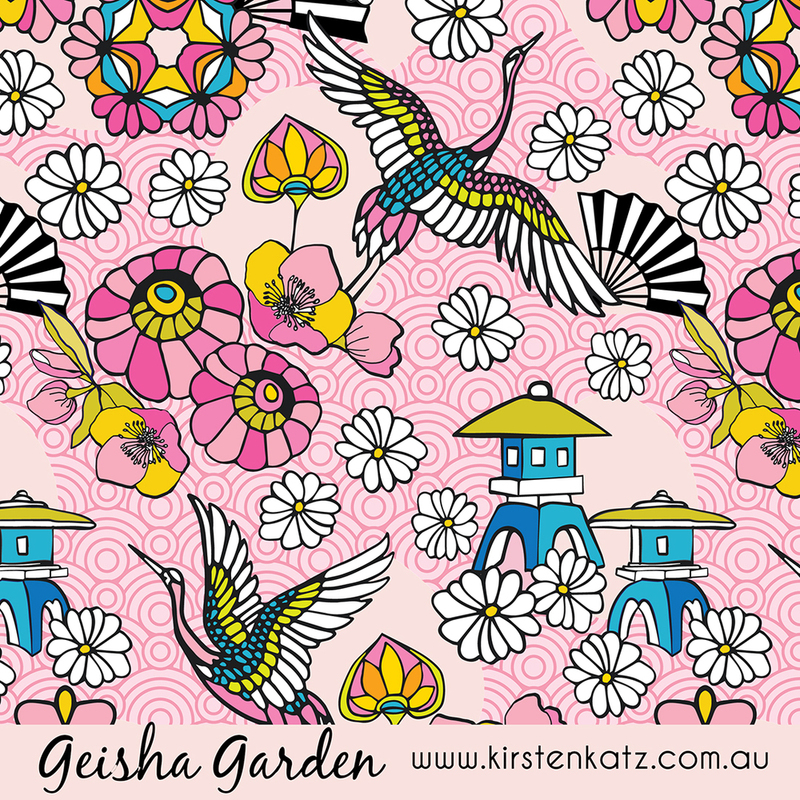 I am so proud and excited to be a Semi Finalist in the 2015 Fabric 8 Textile Design Competition! Just scroll until you see my design and select it and any other designs you like to Vote for them.